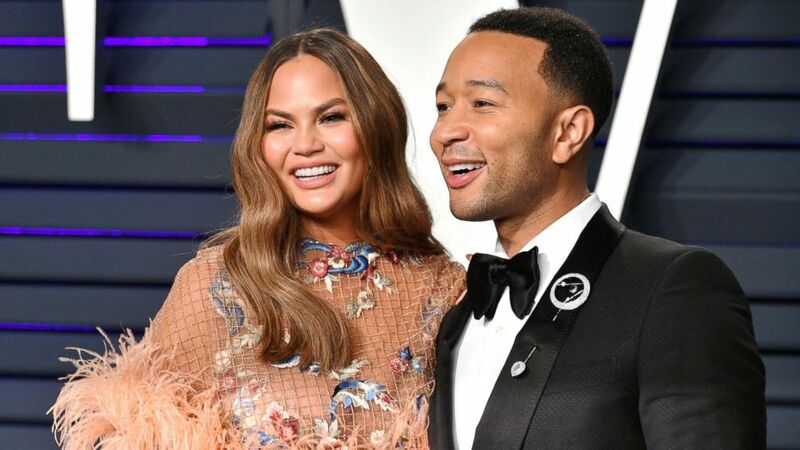 Chrissy Teigen delighted her Instagram followers Sunday after she posted a funny pic of her husband John Legend celebrating "482 months" of age. The laughable image of Legend -- which shows him sitting beside a chalkboard detailing "milestones" like height, weight and number of teeth -- mimics a more earnest picture the family shot of their 9-month-old, Miles. The board also revealed Legend's likes (family, music, peanut butter and chocolate) and dislikes (beets and bad grammar). "Wow they grow up so fast," Teigen captioned the photo. The model's tweets and Instagram posts highlight the struggles of parenting. The model and mom of two has proven yet again that she's our spirit animal. Baby Miles sparked what is arguably the sweetest Twitter thread we'll see today. Teigen shared the post hours after the couple's son, Miles, posed for his own milestone picture. Teigen, who's also mom to 2-year-old Luna, had her 23 million followers cracking up in the comments section of Legend's photo, which garnered more than 2 million likes. Others admired Miles' photo for its undeniable cuteness. (Dia Dipasupil/Getty Images) Chrissy Teigen and John Legend attend the 2019 Vanity Fair Oscar Party hosted on Feb. 24, 2019, in Beverly Hills, Calif.